Ø Citing the witnesses’ accounts of pressure during interrogation, Mammad Ibrahim’s lawyer, Yalchin Imanov, filed a motion for the interrogation of the lead investigator Mubariz Suleymanov as an additional witness. The motion was left unconsidered. Narimanov District Court, chaired by judge Turgay Huseynov, continued the hearing on the hooliganism case against Mammad Ibrahim, advisor to the Chairman of the Azerbaijan Popular Front Party (APFP). The court heard witness testimonies. Then Mikayil attacked Mammad. We intervened and separated them. I held Mikayil and Agshin held Mammad. On September 20, 2015, I pulled Mikayil away, his shirt buttonhole was slightly torn. Then he left and Mammad went to a nearby cafe. A little later, Mikayil came back in a police car, but now his shirt was torn up to the neck. At the Narimanov District Police Department, they wrote that I had said that Oruj Valiyev and several other men had also been at the scene. I told the investigator that I had not said this, and that there had been no one except Mammad and me. But the investigator told me to write as he said or else I would be arrested. No matter how much they were pushing me to testify against Mammad Ibrahim, I did not sign the statement that they had written for me,” said Vugar Abbasov. After that, witness Elchin Shukurov testified, reporting that officers had put pressure on him while he was being interrogated as part of the preliminary investigation. “They had inserted names in my witness statement – people I’d never heard of, let alone mentioned. They had not been at the scene at all. I objected, but they threatened me. The investigator tore up my statement twice,” added Shukurov. Citing witness intimidation, Mammad Ibrahim’s lawyer Yalchin Imanov filed a motion for the interrogation of lead investigator Mubariz Suleymanov as an additional witness. “These testimonies confirm our belief that the investigation sought false evidence against Mammad Ibrahim during the preliminary investigation, and therefore engaged Oruj Valiyev and Mahammad Gurbanov as false witnesses. This involved threatening the genuine witnesses to get them to corroborate their lies. 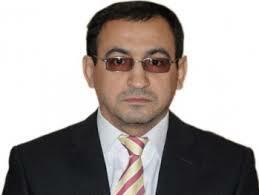 Investigator Mubariz Suleymanov should be questioned before the court,” said Imanov in his justification of his motion. Judge Turgay Huseynov said that this motion would be considered once all the witnesses had been questioned, leaving the motion unconsidered for the time being. The next hearing was set for February 12, 11.30am. Background: Mammad Ibrahim was arrested on September 30, 2015, in a criminal case launched on the basis of the complaint made by former APFP member Mikayil Guliyev. He was first charged under article 221.1 (hooliganism) of the Criminal Code. Almost a month later, two others, Oruj Valiyev and Mahammad Gurbanov filed a complaint, claiming that during the incident Mammad Ibrahim had punched them, too. After that, the initial charge brought against Mammad Ibrahim was replaced by a more serious one, under article 221.2.2 of the Criminal Code. This article stipulates a punishment of imprisonment for up to five years or corrective labor for up to two years.